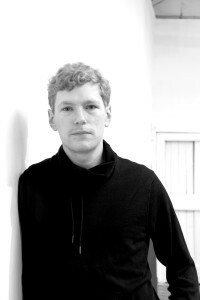 Eoghan Desmond (Ireland, 1989) is a bass-baritone, composer, conductor and cat-lover from Cork, currently resident in Dublin, Ireland. In addition to the above, he has, over the course of his life so far, taken up and given up the violin, horn and organ, in that order. When not singing daily evensong in St Patrick’s Cathedral, where he is a lay-vicar choral, Eoghan can usually be found sitting in front of a block of A3 manuscript paper, hoping that writing music is a real job. His music has been performed all over Ireland, by Chamber Choir Ireland, ConTempo String Quartet, Ensemble Avalon, New Dublin Voices, Claire Duff, Malachy Robinson, the Gentlemen of St Patrick’s Cathedral and is in demand in various countries across the globe, including the US, the UK and most recently Scandinavia. He has placed highly in numerous competitions, and in 2015 was awarded the Seán Ó Riada prize for Choral Composition for his piece, Mother Goose’s Melodies. He is also the recipient of the 2015 Jerome Hynes Young Composer’s Award, for which he composed a setting of Rimbaud’s Phrases, which was premiered by Gemma Ní Bhriain in her Bernadette Greevy Bursary recital. He has been commissioned by the RSCM, the result of which was a broadcast on RTÉ1 on St Cecilia’s day 2015. In addition to this, he is an accomplished soloist and recitalist, having sung baritone or bass solos in such classic works as the Requiems of Verdi, Mozart, Faure and Duruflé, both the St Matthew and St John passions, Haydn’s Creation, Handel’s Messiah, Vaughan-Williams’ Hodie and Mendelssohn’s Elijah, in addition to less common works such as Vaughan-Williams Willow-Wood (Irish première). His song repertoire is extensive and covers everything from 16th century lute songs to song cycles composed especially for him, though he specialises in 20th century English song. On the other side of the podium, Eoghan has conducted Téada string orchestra (on and off) since early 2014. He is the founder and director of Dulciana upper voices choir, who are committed to bringing performances of music by female composers to the Irish public. He is also the assistant Musical Director of Dún Laoghaire Choral Society.